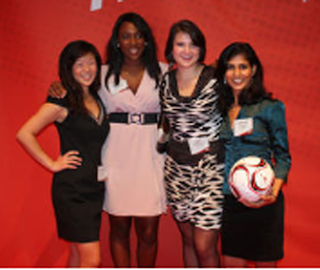 Students Jessica Lin, Julia Silverman, Jessica Matthews, Hemali Thakkaras in engineering class at Harvard have invented a football named 'Soccket' (an energy-capturing soccer ball) that captures energy created when kicked and converts the captured energy later into electricity, is all set to help provide a power solution for developing countries. Soccket stores energy from play for later use as portable power source in developing countries. Named as Soccket, the revolutionary ball builds up enough energy to power a light for three hours from just 30 minutes of play. 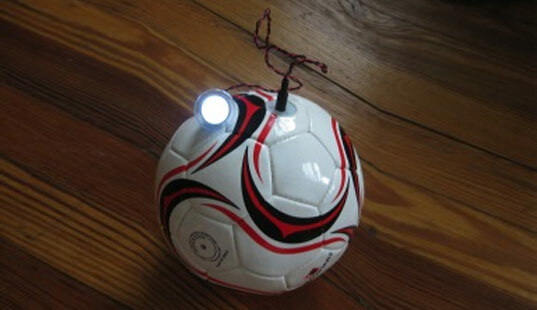 This invention makes itself fairly innovative and cost-efficient and an indeed development for developing countries, costs only a little more than a normal football to produce. Bill Clinton illustrated the concept, which was the innovation of Harvard students Jessica Lin, Julia Silverman, Jessica Matthews, Hemali Thakkaras and Aviva Presser, as ‘extraordinary’. “It’s an off-grid solution that gives us a way to bring power and improved quality of life, working capacity and learning capacity,” the Daily Mail quoted Clinton as saying. The idea unites football, the world’s most popular sport, with the huge need for electrical energy in developing countries - a confounding one in five citizens around the globe are exclusive of power. This practice of electricity generation from a play uses inductive coil technology, which involves having a metal coil and magnetic slug that goes forwards and backwards. Currently, Soccket can be used with an ac adapter, designers are hoping to make it enable for other products to be charged by it in the future. Initial inspiration for this innovation came from hi-tech dance floors technology, which can capture enegy from dancers’ movements. “The idea was come together and using art and science pick an issue and try to make it better,” Matthews said. “We started to think about the time we’d spent overseas and we’d all had this similar experience of seeing kids play. These kids aren’t allowed to be children for very long. They have to deal with very serious issues in their lives every single day. “Sometimes giving these kids the ball before we even show them the power generation part is such an amazing thing because they have a ball which doesn’t require inflation - you are telling them that the tooth fairy does exist,” she added. Silverman further said that apart from noticing the universal love for soccer they also noticed the huge market for safe, sustainable immediate power access.